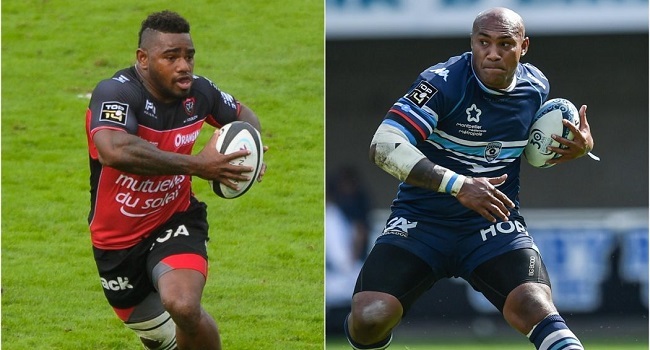 Fiji Airways Flying Fijians giant wingers, Nemani Nadolo and Josua Tuisova will play together for the first time for the national team on Sunday. Coach John McKee has made six changes to his starting line-up for the final autumn tour test match against Canada. Half-back, Frank Lomani comes back into the team after being dropped for the squad against Ireland last weekend. Fijian Drua prop, Kalivate Tawake makes the cut into the team while Clermont forward, Peceli Yato makes his return, replacing Api Ratuniyarawa on the locks position. Olympian and 7s beast, Semi Kunatani also gets to his second start at the flankers position, moving captain Akapusi Qera to number eight. Fiji plays Canada at 6am on Sunday.